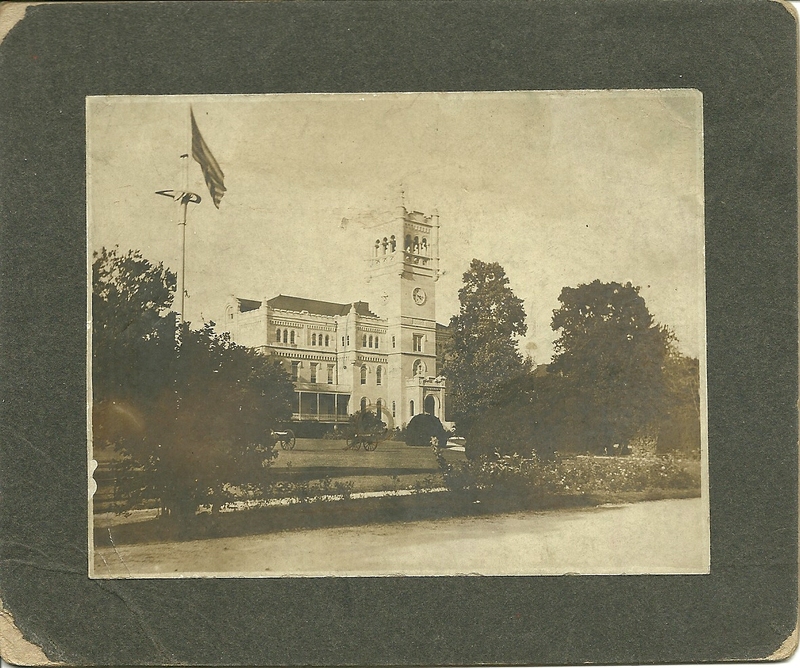 1901 Photo Shows Soldiers’ Home in Mourning | Park View, D.C.
Here’s a photograph of the former Scott Building (now the Sherman Building) at the Old Soldiers’ Home. What I really like about this isn’t so much the photo itself, as what is written on the back of the photo. 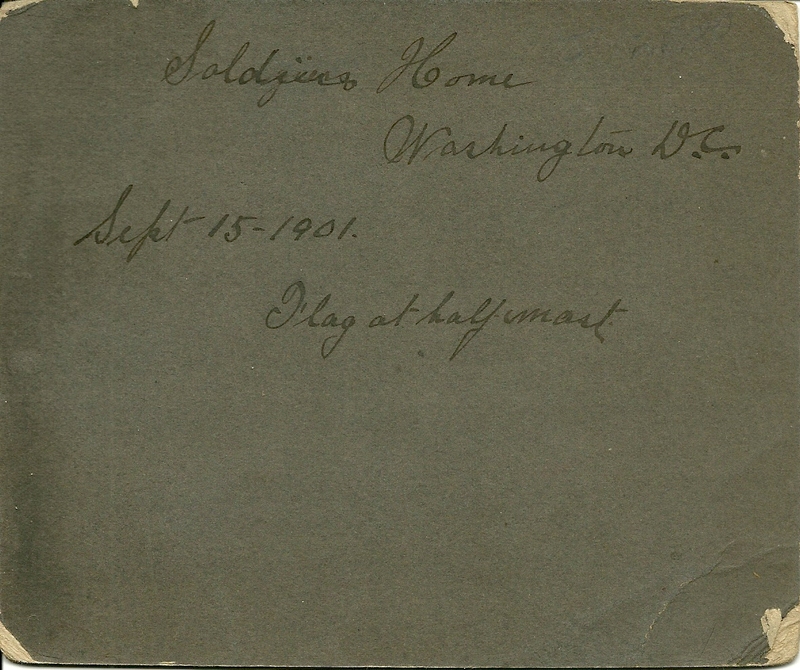 Below is the inscription on the back of the photo. A quick check of the date indicates that the flag was at half staff on September 15, 1901, due to the death of President William McKinley, following which Theodore Roosevelt was sworn in as his successor. This entry was posted on March 19, 2015 at 7:01 am and is filed under Uncategorized. You can subscribe via RSS 2.0 feed to this post's comments. You can comment below, or link to this permanent URL from your own site.